Welcome aboard pilots, privateers, and pillaging pirate queens; you've found Stick and Rudder, the gaming press' first Star Citizen column! I'm putting all pretenses of objectivity aside today because I'm terribly frackin' excited for this game. That's why we're here, now, talking about it way out in front of its release. With all of this expectation comes the potential for massive disappointment, of course, but the good news is that Cloud Imperium is being pretty open about its development process. This has the added benefit of giving us lots to chew on while we sit through the agonizing months leading up to launch. Anyway, now that some of my fanboy gushing is out of the way, let's get down to brass tacks and carry on the time-honored Massively tradition of kicking off a new game column with a community guide. You can never have too many podcasts in your pre-release community, and thankfully the Star Citizen community has Star Citizen FM. The show is currently hosted by DrHawk, who does a fine job of recapping the news and general happenings with a deadpan delivery that's strangely appealing. Stars Oratoria is also worth your time. It's hosted by Senet van Rijn and broadcast from "an undisclosed location somewhere in the galaxy." The latest episode features a guest appearance from Cloud Imperium president of production and development Eric "Wingman" Peterson. First on my list of news and miscellanea is the official SC forum. This is kind of a no-brainer, but it's worth pointing out for reference and for those folks who are new to online gaming in general (yes, they're out there!). Put simply, the official RSI site and forums are where you'll find the lion's share of pre-release info about Star Citizen. As a bonus, the Cloud Imperium team does keep an eye on the message board goings-on, so make sure you speak up if you want your voice to be heard in terms of ideas and development feedback. Next up is Reddit. Much like the o-boards, Reddit is a great place to stay abreast of the latest Star Citizen happenings. Due to the size of Reddit's gaming community, breaking SC news and interesting commentary is often aggregated here and readily available in a single spot for easy viewing. 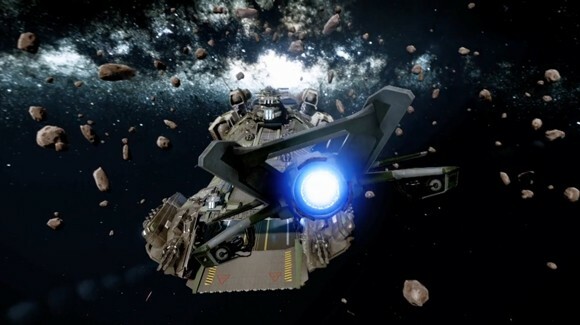 Star Citizen Base was the first unofficial forum that sprang up soon after Chris Roberts' initial Squadron 42/Star Citizen announcement. SCB is also the largest unofficial Star Citizen community, so if you can't find what you're looking for at the RSI website, you might find it here. Internet Spaceships News Network is a fledgling news and user-generated content destination designed to both bring the community together and encourage the creative types to share their wares. You can consume or submit content at the official site, and be sure to check out the forum thread to learn more. Finally, I'd like to highlight one of the more ambitious fan projects I've seen in a while. A group of musicians has come together to create an unofficial Star Citizen soundtrack, and if the preview tracks on the forums are anything to go by, you'll want to give the full album a listen when it releases toward the end of April. Composer Caden L. Welborn explains. The plan thus far is to create three main types of tracks:  Action - driving beats, industrial samples, and arpeggiated synths for space battles of varying sizes and types. Ambient -atmospheric soundscapes with heavy emphasis on emptiness and echo, and  Thematic- very emotional and sweeping pieces all the while keeping the sci-fi style and elements in mind. 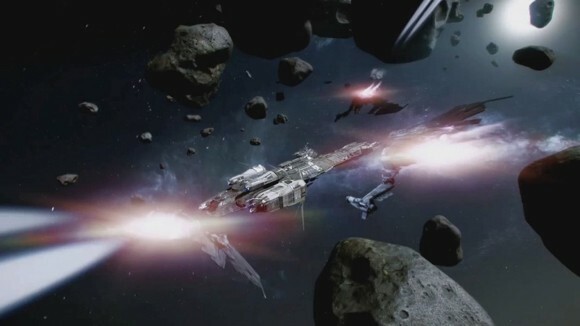 So that's a quick look at Star Citizen's community as of early April 2013. As you might expect given the title's early development stage, the official forums are the primary hotspot for game-related news right now. That said, there are several anticipatory pockets of fandom springing up hither and thither in internet land, all of which are worth bookmarking. If I missed your fan site, and it doesn't look like something from GeoCities circa 1997, send me a mail and I'll include you on this list. Next time, let's talk some more about both the game and the column, including what we want to see in the former and what I hope to accomplish with the latter. Until then, I leave you with what is unequivocally the greatest teaser in the history of video games. 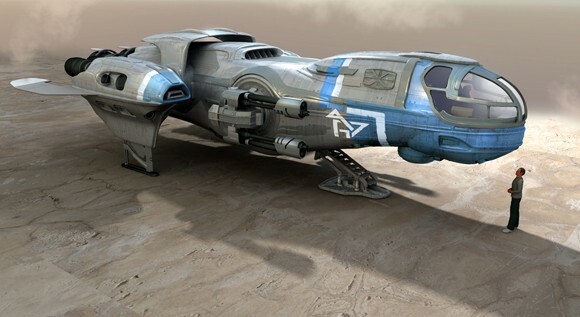 Whether it's interviews with Chris Roberts and the Cloud Imperium team or tips and guides for pushing your ship's performance envelope, Stick and Rudder is your inside source for news and commentary on the world of Star Citizen. Join Jef Reahard every other week during the run-up to alpha, beta, and beyond.